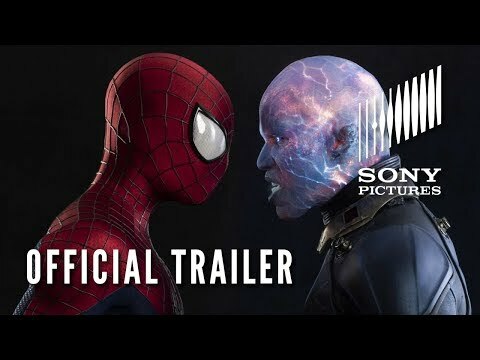 Watch the official trailer of The Amazing Spider-Man. In The Amazing Spider-Man, Peter Parker (Andrew Garfield) finds a clue that might help him understand why his parents disappeared when he was young. His path puts him on a collision course with Dr. Curt Connors (Rhys Ifans), his father’s former partner, who becomes his nemesis The Lizard. Directed by Marc Webb and starring Andrew Garfield, Irrfan Khan, Denis Leary, Emma Stone, The Amazing Spider-Man opens on July 3, 2012. The Amazing Spider-Man is the first film in a rebooted Spider-Man film franchise focusing on Peter Parker developing his abilities in high school. Directed by Marc Webb ((500) Days of Summer) and starring Andrew Garfield, Irrfan Khan, Denis Leary, Emma Stone, The Amazing Spider-Man opens on July 3, 2012. The Social Network is a story about the founders of the social-networking website, Facebook. Starring Jesse Eisenberg, Andrew Garfield, Justin Timberlake, Joseph Mazzello, The Social Network opens on October 1, 2010.